United Arab Emirates. 2013. Dubai. Always trying to break new luxury records, Dubai municipality has acquired a fleet of luxury sports cars as patrol vehicles. 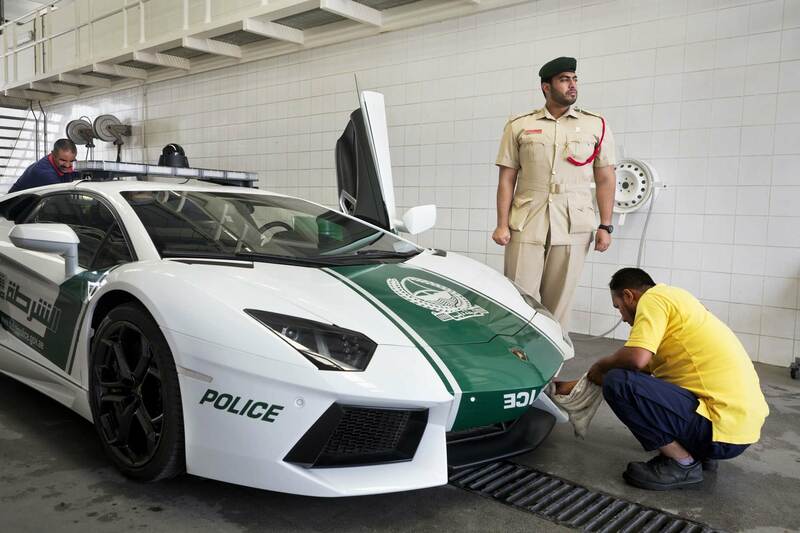 Here, the fleet commander waits for Bangladeshi guest workers to finish polishing the new Lamborghini Aventador, before going on patrol.